HARRISBURG — Pennsylvania Gov. Tom Wolf is again seeking to raise the state’s minimum wage to $15 by 2025, even though the issue has for years been opposed by Republicans who control both legislative chambers. Wolf, a Democrat, on Wednesday proposed raising the state’s current minimum of $7.25 — the same as the federal minimum — on a sliding scale, starting with a bump to $12 this July. It would rise by 50 cents every year until 2025, when it would be $15. The wage would increase with the cost of living every year after that. At a news conference in the state Capitol, Wolf noted that 29 states have a higher minimum wage than the one set at the federal level. That includes all of Pennsylvania’s surrounding states, according to data compiled by the National Conference of State Legislatures. 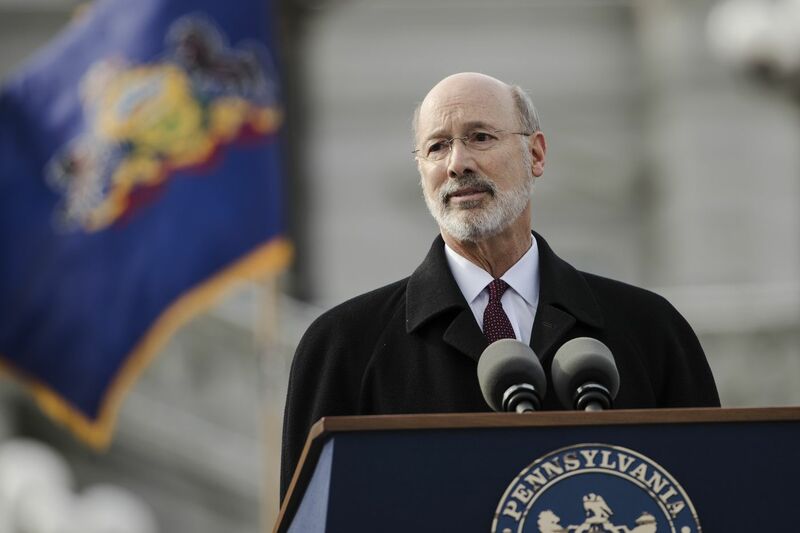 Raising the wage just to $12 an hour, Wolf said, would give a raise to one million Pennsylvania workers. Wolf has proposed a minimum-wage increase every year since taking office in 2015, a call that has gone nowhere. Republicans control both the House and Senate, and have the power to determine what measures get a vote. For years, GOP leaders have balked, with many saying they would prefer the federal government deal with the wage issue. Business groups also oppose a minimum-wage boost in Pennsylvania, saying it would cause financial hardship — from reduced hours and benefits to outright job cuts — that would ultimately harm workers. “We think there is a broad agreement that policymakers should focus on policies that help single parents and low-income families — we just don’t think that this is the most effective and smart way to address that,” said Alex Halper, director of government affairs for the Pennsylvania Chamber of Business and Industry. Pennsylvania’s minimum wage has not risen in a decade. Lawmakers last approved a boost in 2006, with the rate eventually moving to $7.15 an hour. But it only reached $7.25 an hour in 2009 to match the federal minimum wage. Meanwhile, surrounding states have been upping theirs. According to the U.S, Department of Labor, Maryland set its minimum at $10.10 per hour; West Virginia is at $8.75 per hour; New York is $11.10 per hour; and Ohio is $8.55 an hour. And in New Jersey, Gov. Phil Murphy and Democratic leaders of the state Legislature earlier this month reached an agreement to raise the minimum wage to $15 by 2024. According to a 2018 study by the Keystone Research Center, a liberal-leaning think tank in Harrisburg, a $15 hourly minimum wage would give a raise to 253,698 Philadelphia residents. In Allegheny County, it would increase the wages of 216,710 residents.